Last weekend, I attended a private showing of the 1938 movie, Christmas Carol, in Burns Court Cinema in Sarasota, Florida. I probably would not have chosen that film, but a friend who is noted for her innovative party ideas, reserved a theater for her annual Christmas event. I watched the hazy black and white classic with a group of 20 or so guests, most of whom had already enjoyed a couple of glasses of champagne before a beautifully-bearded Santa led our small caroling “parade” to the theater. Afterwards, we sat down to a festive dinner at the little Italian restaurant across the narrow street. 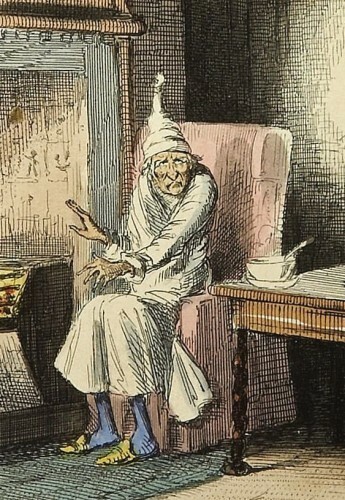 The experience led me to think about the pathetic character of Ebenezer Scrooge. I wondered what his story offers those of us who consider life and leadership today.In the absence of other theatergoers, our small group began to interact with the movie as we settled in to watch the overly-dramatic acting and familiar story. When Scrooge appeared, someone booed. In the fashion of Rocky Horror Picture Show, we repeated “Humbug” rather loudly each time Scrooge used the term. However, as the film progressed and we entered the world of Ebenezer Scrooge and the joyful but oppressed Cratchit family, the group became quiet and the traditional story began to work its magic. Scrooge’s early life was generally normal. He had a loving sister and a charming fiancée who cared for him. Somewhere along the line, possibly when his sister died, he became a different person. His only love was money. His fiancée moved on to a more satisfying life, and he was left with only his similarly-inclined business partner, Jacob Marley. I was struck with the years of lost possibilities. Despite the position of wealth and control that Scrooge held in the financial centers of London, he was not a leader. Minus the money he accumulated, no one wanted to be like him or to follow him. He ate alone in a large mansion. He showed resentment toward any display of merriment. He had no compassion for the less fortunate; he demonstrated only contempt. He was blind to the fact that the decisions he made about workers’ hours and meager salaries had consequences. He was also blind to the bitterness and disdain people held for him. He was frightened by the three ghosts that visited him, and only after the visits did he begin to see his own life in a different way. Christmas Past revisited his childhood and some of his happier young adult moments. He experienced the emotions, both pleasant and painful, that he had pushed out of his life. Because of financial ties, his young, outgoing nephew stayed in touch, but there was no close familial relationship. When he received word that Marley was dying, Scrooge would only go to see his business partner after the workday ended. He did not attend holiday parties or family events. His search for more money was too consuming. Christmas Present visited the Cratchit family, who showed love and joy in spite of their difficult circumstances. He saw the whole picture only when he ventured out with the Ghost of Christmas Future. Both he and Tiny Tim had died. The Cratchit family was dealing with the loss of their beloved family member; Scrooge’s business acquaintances were derisively commenting on his demise; and thieves had happily stolen his belongings. Only then did he see what he was wasting. When he examined his life, Scrooge was a changed man. He shared his wealth. He laughed. 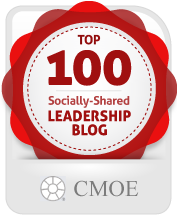 He recognized that relationships, engagement and generosity made him feel good - even giddy. He joined holiday celebrations with family members and then the Cratchit family, whom he had treated so miserably. I decided it is helpful to examine our own busy lives to see if the old Ebenezer Scrooge lurks in the corners and to what extent the new Scrooge takes center stage. The story has lasted for so many years because it has so much meaning, not only for the holidays but also for the rest of the year. May you experience that joy and meaning today and through the coming year. And, may you fully embrace the possibilities open to you. Originally published in December of 2011 and edited in 2014. Featured image in Public Domain. I don’t want be 2 specific about what’s going on w/me this Christmas, but your blog helped lift my spirit. Merry Christmas! Thanks, Theron. I wish you and your family the very best this Christmas.